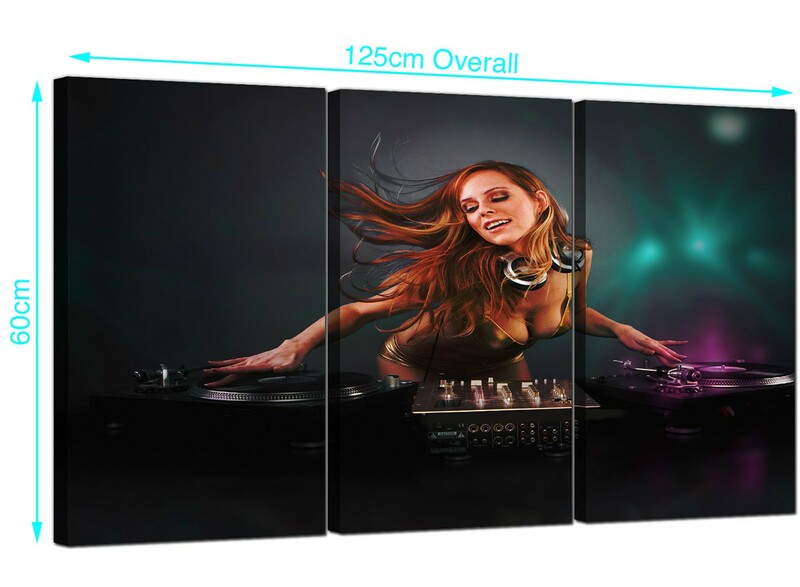 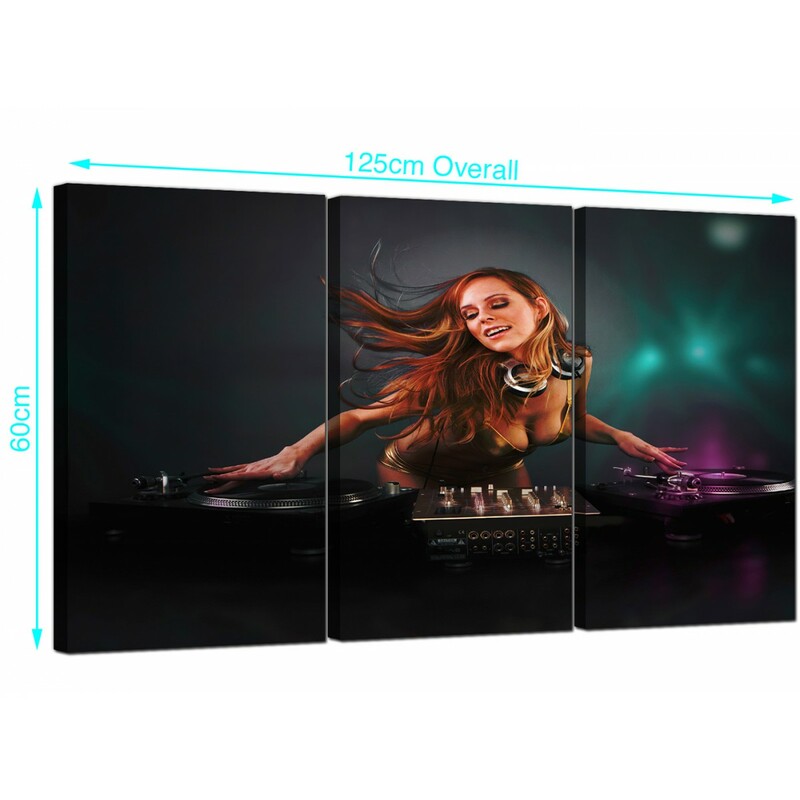 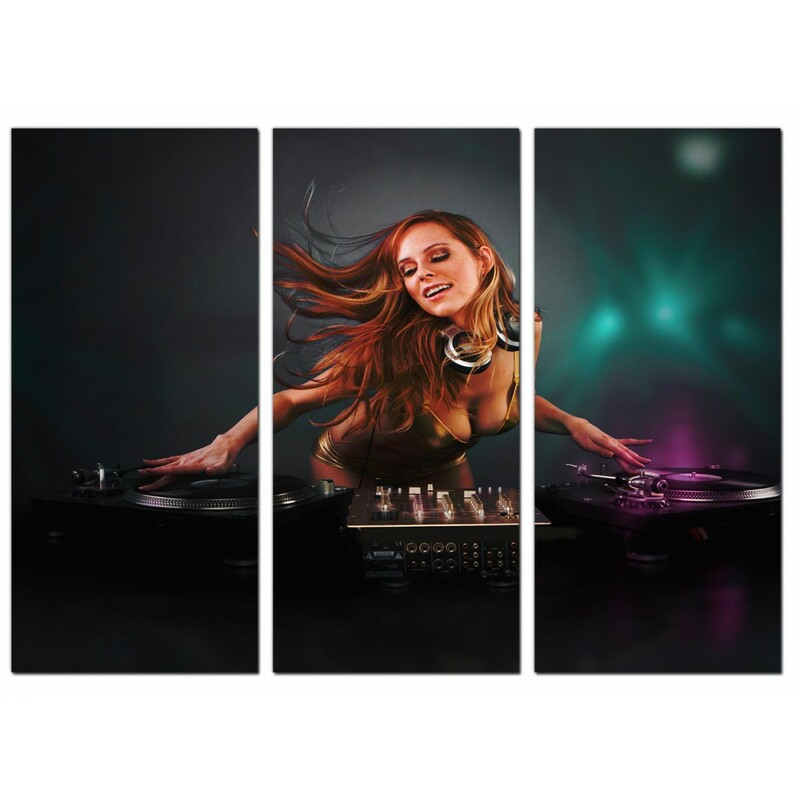 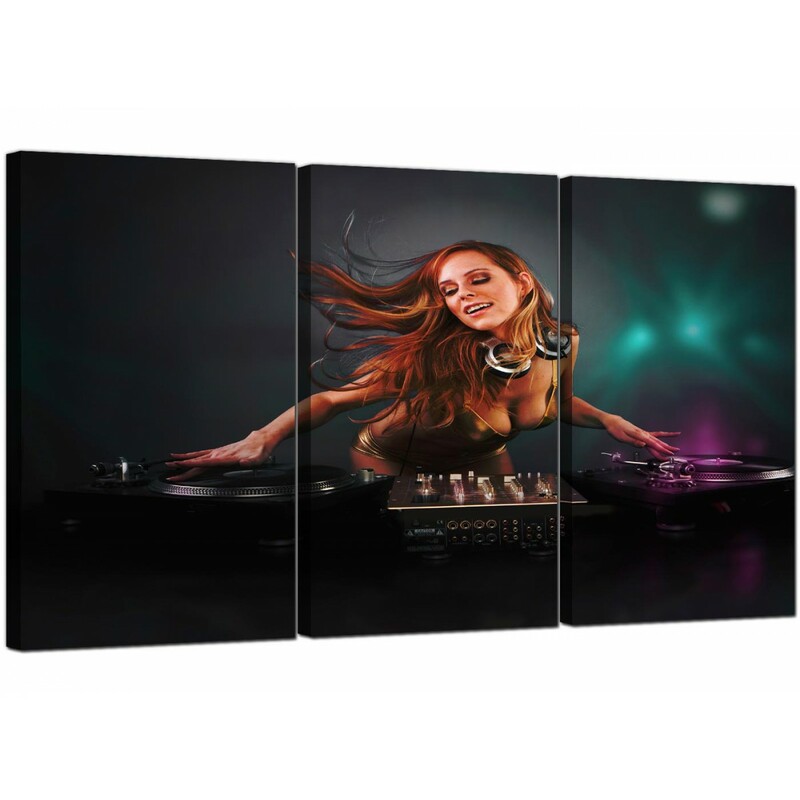 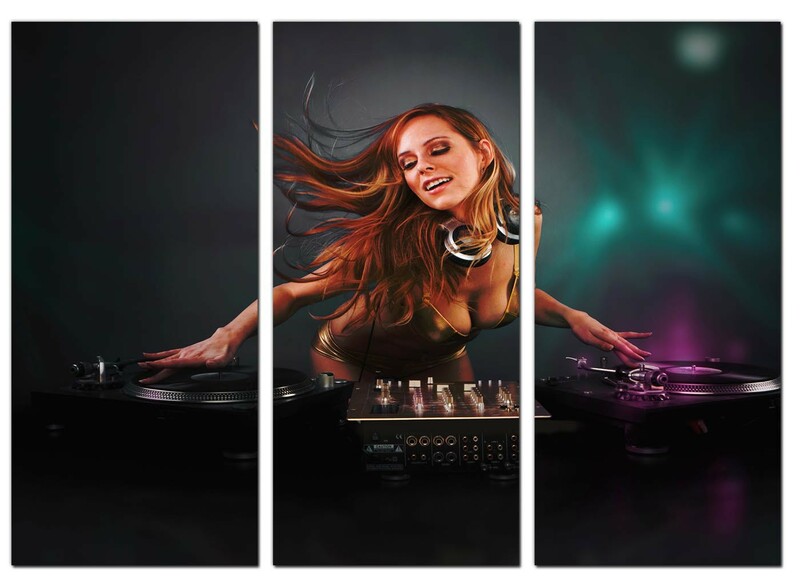 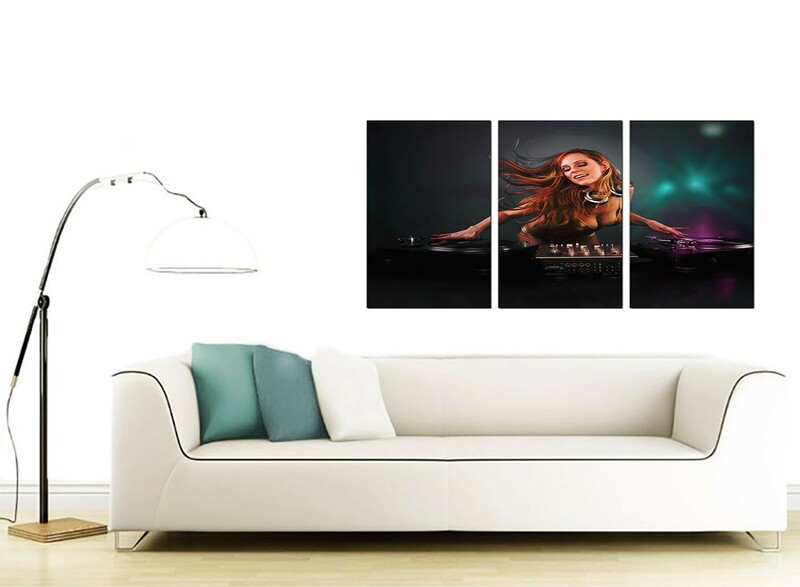 Multi panel canvases of a DJ mixing dance music. 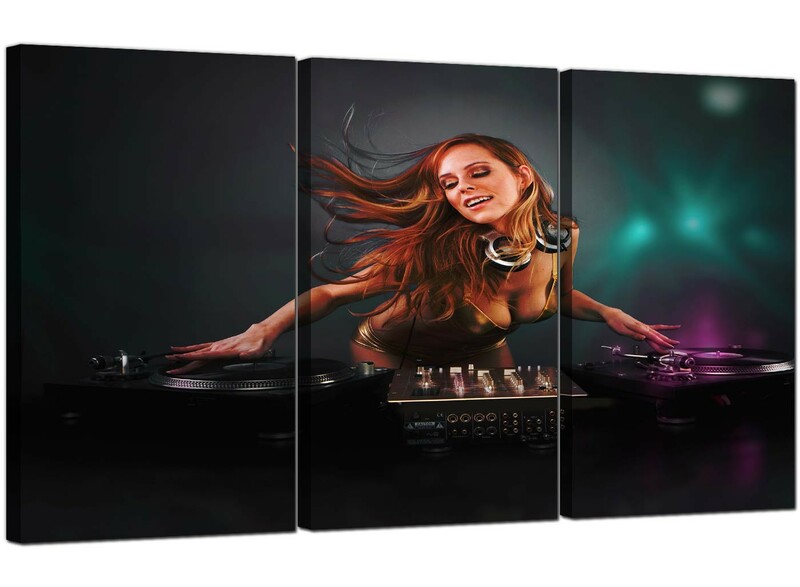 What teenage boy wouldn't want one in his bedroom? 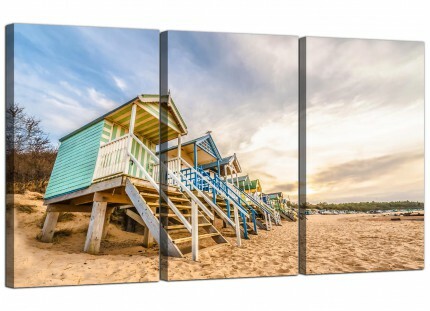 A substantial teal stylish three panel set of canvas prints. 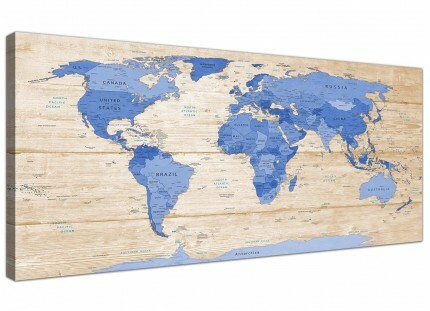 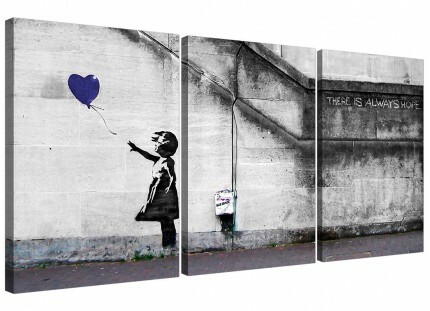 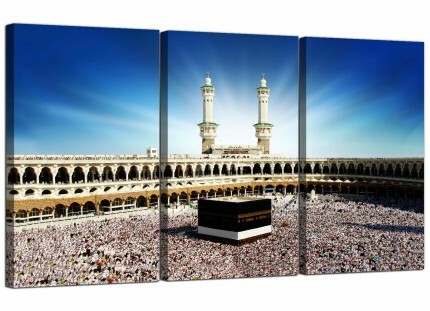 The United Kindom's most dependable canvas wall art gallery. 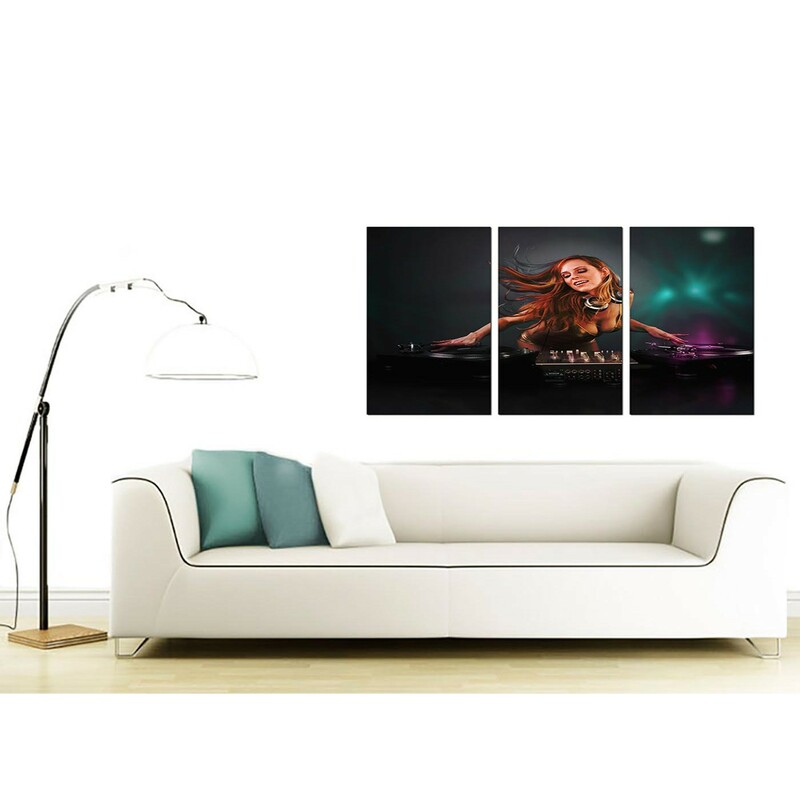 The pictures are reproduced in top quality with 75 year fade resistant inks. 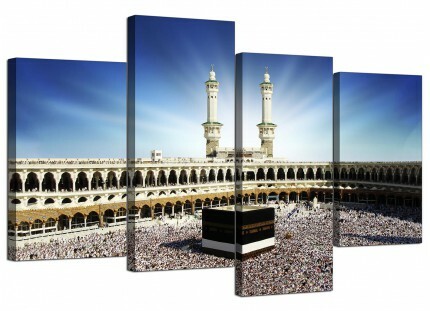 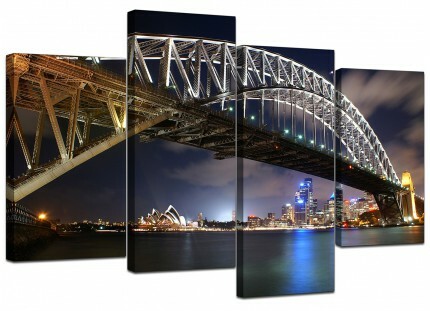 Dimensions: 125cm x 60cm (49inch x 24inch) inclusive of gaps. 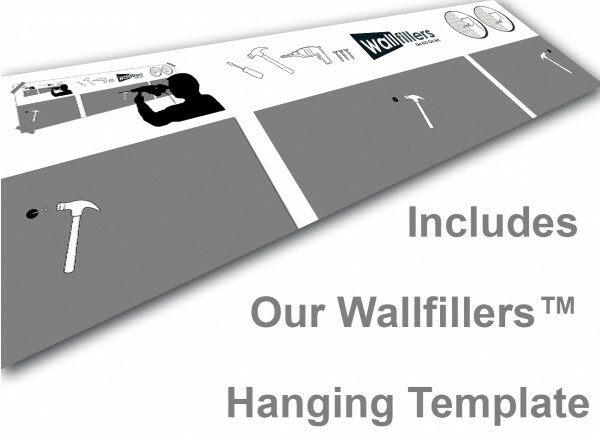 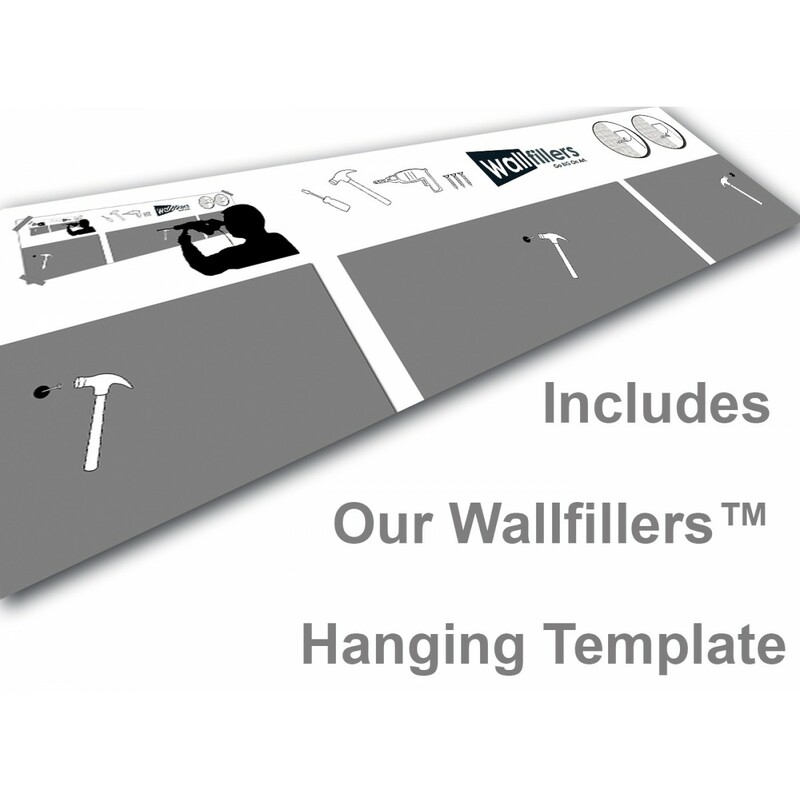 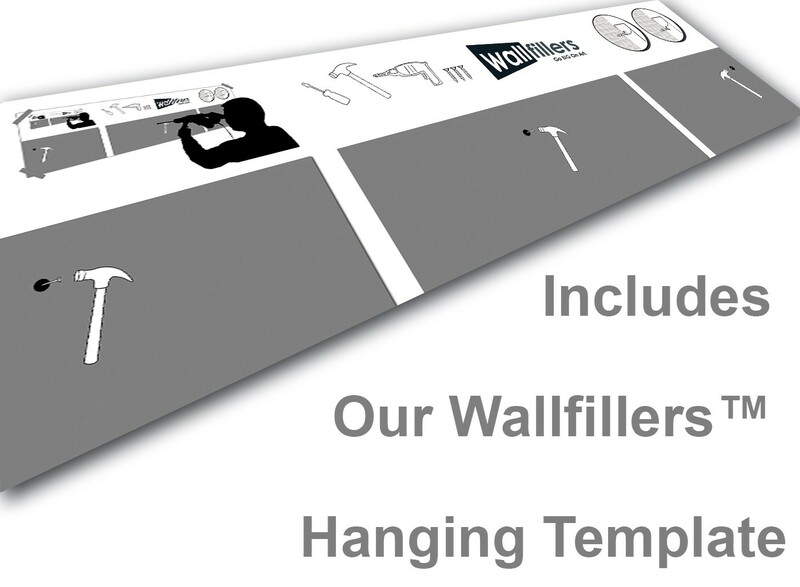 Wallfillers suggest a gap of 2.5cm between each piece.